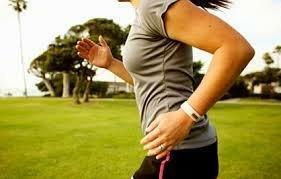 Are you using a device or app to measure and track your health and fitness? Perhaps you prefer to jot something down in a journal or notebook or enter it on a spreadsheet. Maybe you keep track for someone you love. According to a recent survey conducted by the Pew Research 70% of adult Americans now track some aspect of their health or that of a loved one. The majority of those surveyed (60%) said that they track their weight, diet or exercise routine. 33% monitor health indicators and symptoms, such as blood pressure, blood sugar, headaches and sleep patterns. 12% track health indicators for a loved one. Whether you keep track "in your head" (as 49% said), keep data on paper (34%) or use some form of technology like a website, spreadsheet, app or device (21%), clinical studies have shown that tracking is a tool for improving outcomes, particularly in losing weight or managing a chronic condition. Begin with a goal in mind. Decide what you want to achieve. See more about setting SMART goals. Establish a baseline against which you can measure future progress. Make manageable lifestyle changes: Eat and exercise each day in such a way that you can do it again tomorrow. Tracking your daily and weekly achievements is motivating and a proven tool in self improvement. It can change your overall approach to maintaining your health or that of someone you love. Contact me here for more information on how fitness coaching helps you to be accountable and successful in achieving your goals.